Services include: Assessments, Therapy, Basic Skills Training, Psychosocial Rehabilitation (PSR), and Crisis Intervention Services. ﻿Provider: ﻿Nevada Licensed Clinical Providers conduct comprehensive assessments. Service Provision: Assessments are conducted at the comfort of the client's home or in office. Method: Clinicians use widely accepted measures, the DSM 5 is used for symptom evaluation and diagnosis. Our Clinical Programs offers children, adolescents, adults and their families, medically necessary evidence informed psychotherapeutic services in both the Spanish and English language. We use assessments and diagnosis tools to ensure accurate diagnosis and objective progress monitoring. 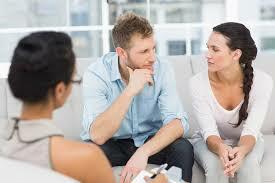 Individual, family, couple and group psychotherapeutic services are available. The School based therapy program is designed to meet school aged children in the comfort of their school allowing our trained and licensed clinicians to provide consistent therapy services and eliminating barriers to participation. The young adult period is characterized by rapid physiological, sexual, cognitive, and emotional changes. Many serious mental health conditions can emerge in the late teens and early twenties, further complicating an already difficult period of life. Common issues that young adults are often vulnerable to include substance abuse, eating disorders, depression, and anxiety. Young adults may often find the support of a therapist to be helpful during the transition from adolescence into adulthood. We offer in office therapy for adults 18 and over. Adult therapy helps individuals explore and improve a wide range of concerns, in therapy the focus in on strengthening emotional, behavioral, and relationship functioning. We offer marriage counseling, also called couples therapy, this type of psychotherapy helps couples of all types recognize and resolve conflicts and improve their relationships. Through marriage counseling, couples can make thoughtful decisions about rebuilding and strengthening their relationship or going their separate ways. The prenatal mental health therapies are designed to help treat depression, anxiety, PTSD, and or OCD associated with pregnancy or the postpartum period. Therapy is offered to both mothers and fathers. Through the use of therapy, we can provide parents with the tools and resources to help build a strong and healthy connection with their infants. Provider: Nevada Licensed Clinical Social Workers (LCSW) provide therapy services. Each provider brings a vast array of experience and expertise. Service Provision: Therapy services can be provided in the convenience of the clients home or in office. Method: LCSW's use a range of theoretical frameworks such as but not limited to: Cognitive Behavioral Therapy (CBT), Applied Behavioral Analysis (ABA), Psychoanalytic, Psychodynamic and specific models such as Solution Focused, Trauma Informed Care, and Play therapy are used to meet your unique and specific needs. FBH's Rehabilitation Program offers Psychosocial Rehabilitation Services and Basic Skills Training. These services are considered adjunct to therapy to support the client with compensating for or eliminating functional deficits created by emotional, mental and behavioral health issues. A Individualized Rehabilitation Plan is created with goals and objectives aimed towards addressing symptoms that get in the way of effective interpersonal relationships and create environmental barriers. The client and PSR specialist meet in a community location for example where the person lives, works, attends school, or where they socialize. Provider: Psychosocial Rehabilitation Services (PSR) are provided by educated and trained professionals who have cleared a background check. Service Provision: Services are provided in the clients natural environment which includes home, school, and other community environments. Method: Rehabilitation Providers use a psychosocial approach that takes into consideration the persons environment, the clients self-determination is always respected with the goal to improve the clients quality of life. Learn more about Children's Psychosocial Rehabilitation by clicking here. Provider: Basic Skills Training (BST) is provided by educated and trained professionals who have cleared a background check. For requirements and a list of insurances we accept click HERE!